After death of Ford Ranger driver, Takata says another 5 million airbag inflators will be recalled. January 26, 2016 — Takata, the airbag company that has caused at least 10 deaths from exploding airbags, will recall over 5 million airbag inflators currently installed in numerous makes and models of cars. The recall was ordered after the death of a Ford Ranger driver in South Carolina. The driver, Joel Knight, was killed when the Takata airbag inflator exploded and caused fatal injuries to the neck of Mr. Knight. 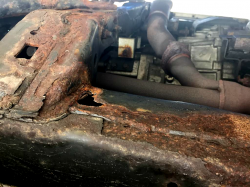 Although no official root cause has been determined, it's believed the airbags explode because of the chemical ammonium nitrate found in the metal inflators. The theory is age, heat and humidity can cause the explosive chemical to become unstable. Once the airbag is triggered to deploy, the ammonium nitrate explodes with overwhelming force and shatters the metal inflator, sending shrapnel into car occupants. Takata says this latest batch of problematic inflators were installed in vehicles from many automakers. 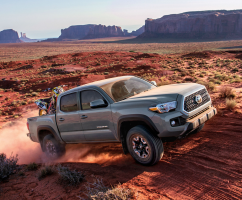 These automakers have about 1.2 million vehicles that will be recalled, all equipped with Takata airbags that were installed between 2002 and 2014. Takata says the airbags have "non-desiccated SDI inflators" installed in vehicles up to the end of the 2014 model year. Takata says it's currently investigating if 2015 models also need repaired. So far, only the driver's side airbag inflators will be replaced in the 1.2 million vehicles. 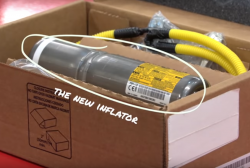 The airbag manufacturer says it is aware of three airbags that have exploded because of the non-desiccated SDI inflators. 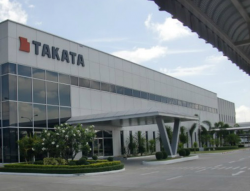 One of those ruptured airbags was in the U.S. and two were outside the U.S.
About 3.9 million vehicles from the above automakers will be recalled, all equipped with Takata "non-desiccated PSDI-5 inflators." Takata says affected model years will go back to 2003 up to the end of 2014, with a separate investigation continuing into 2015 models. 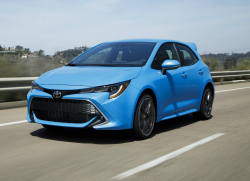 The inflators will be replaced on the driver's side, a decision based on testing conducted on the same type of inflator involved in a previous Toyota recall. 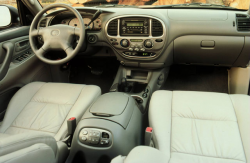 In May 2015, Toyota recalled its 2004-2005 RAV4 SUVs to replace the non-desiccated PSDI-5 Takata airbag inflators. From October 2015 to January 2016, Takata conducted tests on RAV4 inflators that had been returned from the field. The company says it conducted 1,995 ballistic tests and 97 live dissections of the airbags. Takata says four inflators ruptured during ballistic tests and six additional tests showed abnormally high internal pressures inside the metal inflators. All affected automakers are trying to determine the exact models that will be recalled. To date, only Ford has announced a recall of 391,000 Ford Rangers.